Bridal Sales Trainer, Ms. Fleur Kolk based out of Rotterdam Netherlands, quickly rose in the bridal industry from having her own vintage clothing store to landing a job in a bridal shop where she became a store manager within months. Not only has she written a manual of the valuable 10 year experience in selling in bridal, but she also consults struggling bridal retailers on how turn their businesses around. Bridal Times had the opportunity to speak with Fleur about her manual and what it takes to sell in bridal. What inspired you to write your manual? “I had several books about sales. Everything from selling kitchens to cars, but there was nothing specific to bridal. There just wasn’t enough information,” explained Fleur. It was while working at the store that she felt the need to write down the things that she had learned. “We had new bridal consultants start with us and at the beginning, they didn’t know that an alteration of a dress was even possible. Brides love this kind of advice! Especially when you make the bride feel you are making special adjustments just for her.” Fleur firmly believes her team works better once they have gotten the basics from the manual first before working on the bridal shop floor. What do you feel are the most important characteristics of a bridal consultant? So what are the common mistakes bridal consultants make? How can store managers keep track of the performance of their bridal consultants? What can bridal shops do if they notice a slump in overall sales? “There could be many reasons but this would be the chance for retailers to evaluate why brides are not visiting your store and to identify the source of the problem. In terms of selling bridal and marketing, there is so much that can be gained from social media such as Facebook or Instagram to bring brides to your store. With social media, it’s easy to be get super specific with your target audience.” Fleur also advised that smaller shops with less space, should focus on stocking their store with a main style such as creating an amazing vintage style collection or choose one popular brand and sell it exclusively. This would help to channel more brides to your shop knowing that they can find the specific style or gown they are looking for. What is key to keeping the bride in your store and not walking around the corner to the competitor? What is the best piece of advice you received in selling bridal? Bridal Times has provided just a tiny glimpse into Ms. Fleur Koll’s expansive advice in “Selling in Bridal.” She has recently completed her 4th manual and further information on her manual and training resources can be found on her website in English at www.sellinginbridal.com. 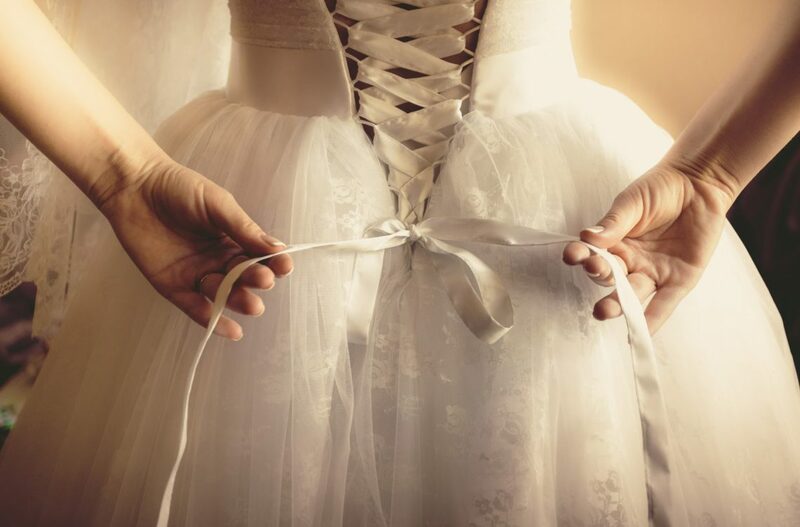 Of course Bridal Times will be glad to bring you more expert bridal training advice from Ms. Fleur Kolk in the future! Germany’s 1st News Portal for the Bridal Industry, Retailers and Designers. Register for a newsletter to receive all the latest industry news! INTERBRDE presents brands that are strong on evening and special occasion wear in a separate dedicated area for the first time. Advertise with Bridal Times! Find out more information about advertising opportunities here. Accept Cookies for optimal performance.